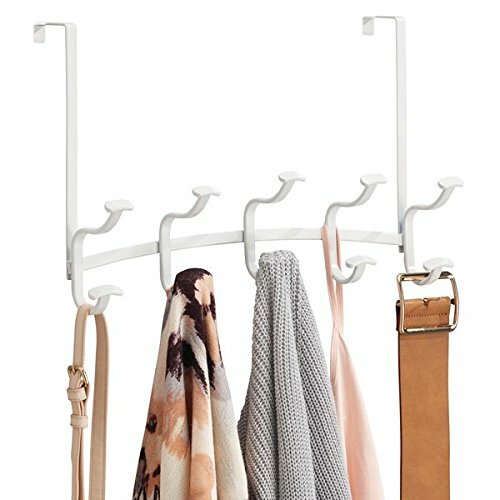 Organized cluttered closets with this over the door 10-hook rack from mDesign. It is a great way to add extra hanging storage in your hallway and bedroom closets. Simply hang over standard interior doors for hassle-free installation and instant storage. Perfect for holding jackets, coats, belts, towels and more!